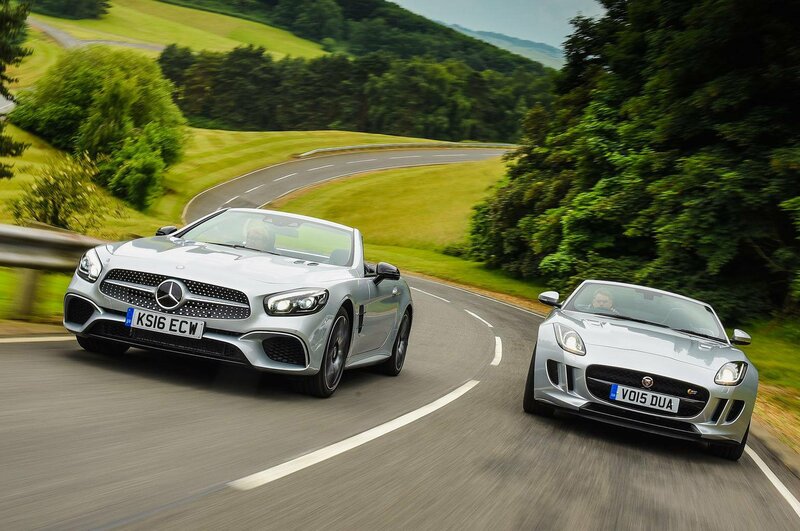 Jaguar F-Type Convertible vs Mercedes SL | What Car? On list price, the Jaguar F-Type is £610 cheaper than the Mercedes SL, but discounts on the SL run to more than £15,000, giving it the lower Target Price. Sell after three years and the F-Type narrows the gap, because it should return nearly £4000 more of your money. However, most buyers will buy on finance, and on this front the SL is much cheaper due largely to a big deposit contribution from Mercedes. Put down a £10,000 deposit on a three-year PCP deal and it’ll cost £708 a month, whereas the F-Type will set you back a whopping £1153. True, the F-Type is cheaper to lease, costing £987 a month compared with £1022 for the SL. 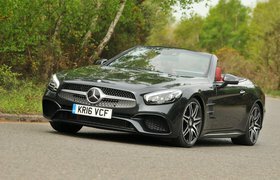 But the SL is cheaper to run; official fuel economy figures suggest it will average 5mpg more than the F-Type, which works out to a difference of nearly £800 over 36,000 miles, and the SL should also cost around £400 less to service over that period. Company car drivers will appreciate the SL’s lower CO2 emissions; they mean it attracts a 32% benefit-in-kind (BIK) rate compared with the F-Type’s 37%. The SL will cost a 40% rate taxpayer around £1500 less in salary sacrifices over three years. Both cars come with all the kit you’d expect on such expensive models, including leather seats, 19in alloys, a DAB radio, sat-nav, Bluetooth and rear parking sensors. The SL adds heated seats, a self-parking system, a powered bootlid and dual-zone climate control. 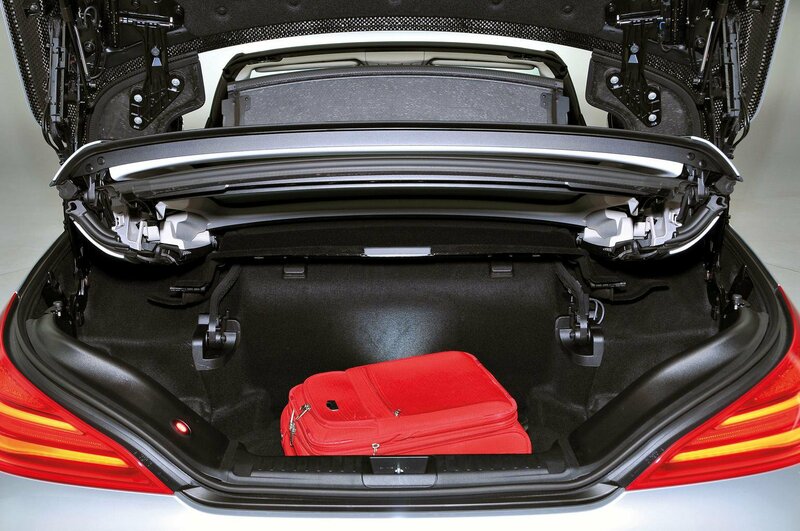 As for safety, the SL outscores the F-Type with its standard active brake assist system. This includes a collision warning and an automatic emergency braking function.